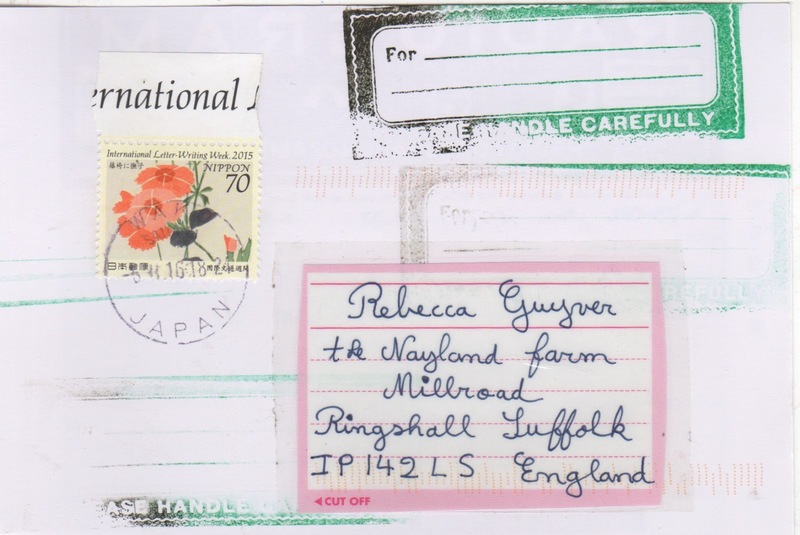 The Postal Ledger: Marie asks another per-plexing question. The thing about marie's mail art is that it is cerebral, or at least it makes you think you should be using your brain. When she made boekies they were simple but precise, so these radiograms do not exist without the connotation of the previous. 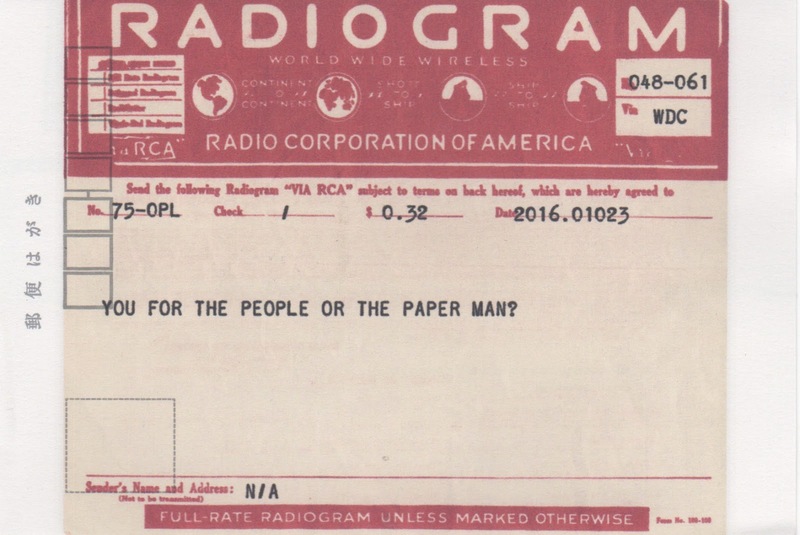 "I read the words, "You for the people or the paper want?" and I feel as if I am cracking a code, or not cracking the code, as the case may be. I rub my head and think about Marie's research on seahorses. I am taken back to Kenya and the refusal to speak 'special english' in order to be understood. Words out of order, cut up, regrouped. I am for the people. I want my paper too, ideally before breakfast. 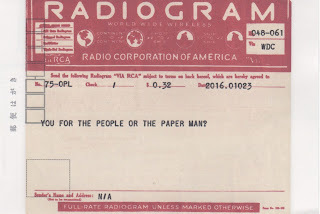 Labels: Marie Wintzer, Radiogram, You for the people or the paper want?